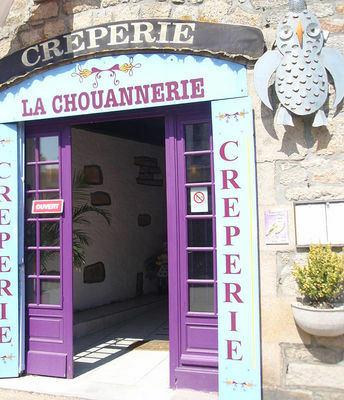 Morgane and Michel warmly welcome customers to their traditional creperie at the heart of the village centre. Exposed beams and stonework and a pretty courtyard. Quality flour and Fouesnant cider ! Michel helps customers choose their crepes with friendly banter and Morgane prepares them with skill ! Refined recipes, fresh ingredients, delicious blends of flavours and magnificent textures, what more can you ask for ! * Ouvert toute l'année. Vac scol, 7/7 : 12h-14h et à partir de 19h.